Deep Purple. The name alone is identified with stature. Deep Purple along with Black Sabbath are often considered the pioneers of the coined-phrase “Heavy Metal”. The band has had several lineup changes, however with the most recent addition of Don Airey in 2002 (following the retirement of keyboardist Jon Lord), the band has remained stable. This current lineup has the longest tenure than any other Mark in the band’s history. The band came right out of the gate with “Highway Star”, the band’s perennial opener over the years. 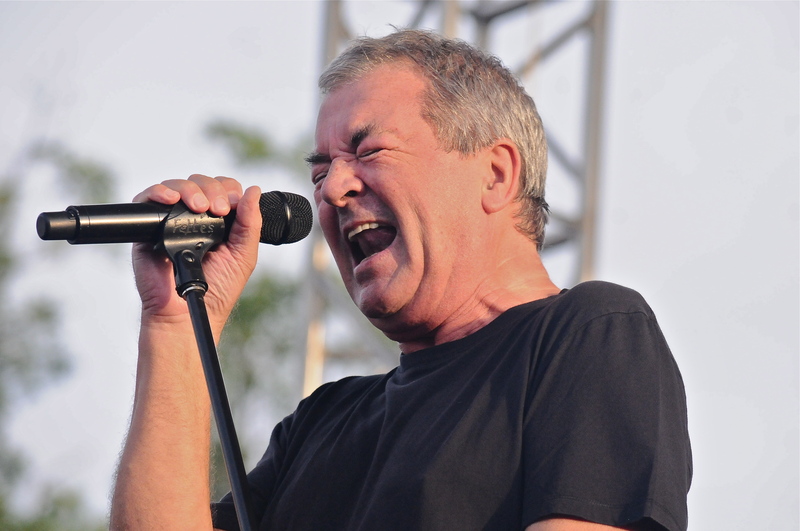 Singer Ian Gillan has been at the helm longer than any other Deep Purple vocalist. At age 69 and a long career of screaming such classics as “Space Truckin” and “Strange Kind Of Woman”, it was amazing how good he sounded in particular on those tracks. The show was also the first night of the bands summer North American tour. The set was far from a greatest hits set. The band wove in three songs from their 2013 release Now What?! including “Uncommon Man” and “Vincent Price”. 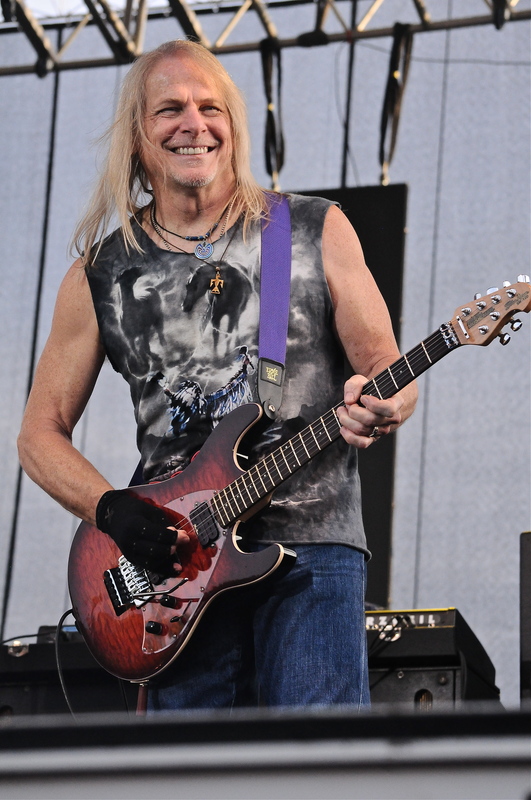 The band managed to give Airey and guitarist Steve Morse plenty of time to strut their stuff. Morse who prior to joining the band was known for being a key player in the Dixie Dregs and Kansas. “Lazy” the classic from the bands best seller Machine Head was a prominent highlight with bassist Roger Glover leading the charge. Glover, Gillan and Paice are the last remaining members of the Mark ll version. The Mark ll version is what many fans and critics alike call the pinnacle lineup. It was during that time where the band recorded their most significant work. As Morse stepped up front to play the famous riff to “Smoke On The Water” the crowd was almost whipped into a frenzy. The pinnacle moment of the show made it all worthwhile for many of the fans as they played air guitar that was joined by many pumped fists in the air. While the band touched on the pre-Gillan era with “Hush”, it was very surprising to see a few trademark songs absent from the set. The set would have benefitted if “Knocking At Your Back Door”, “Speed King” and surely “Woman From Tokyo” were included. This show was only the bands second in Niagara county going back thirty years. Their 1985 show at the now defunct Niagara Falls Convention Center during the Perfect Strangers tour was mentioned by quite a few fans in passing as the last time they had seen them before Tuesday. When a band of this stature seldom plays the area you can expect a solid turnout. Earlier in the day the weather did not appear that it would cooperate. Thankfully it cleared up and everyone enjoyed a solid show by a classic band who isn’t ready to call it quits quite yet. After all that would be clearly quite absurd judging by their performance Tuesday evening. 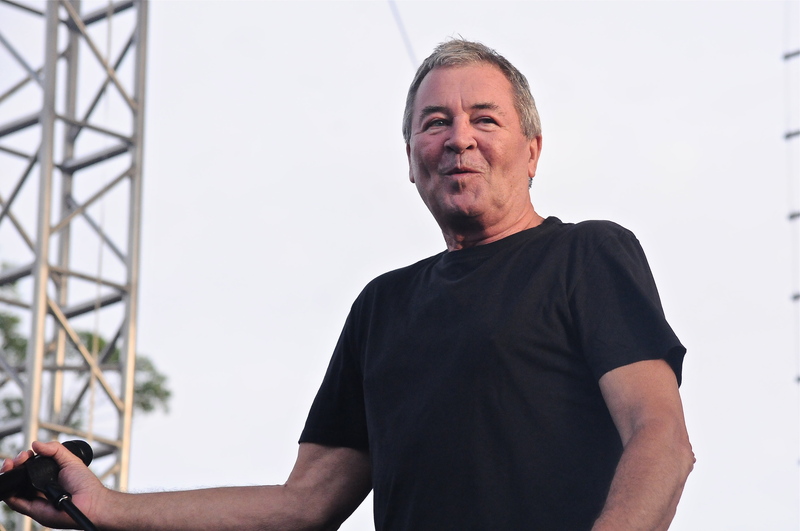 This entry was posted in Concert Reviews and tagged Artpark, Deep Purple, Gillan, Lewiston NY. Bookmark the permalink.